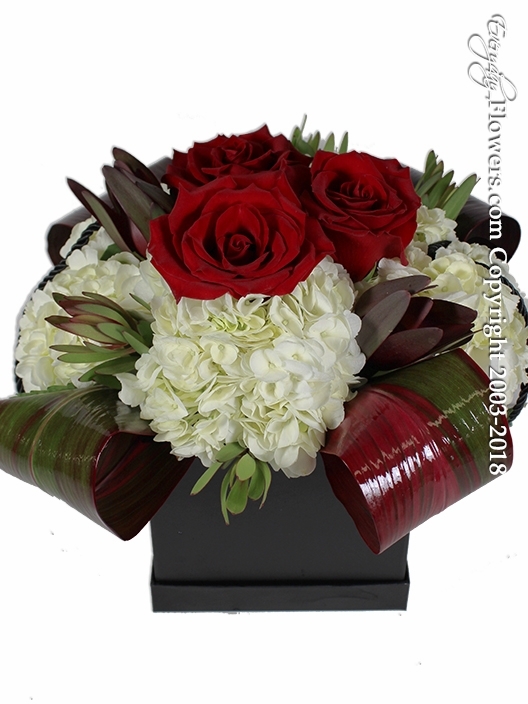 This arrangement comes with a black reusable gift box with lid and comes with an arrangement of white hydrangea red roses tea leaves and safari sunset. We have three sizes of gift boxes so if you decide to upgrade your arrangement the box will become bigger as well. The gift box also has to black rope tassels on the sides of the box.